Top 7 Electrical Safety Habits - DiVal Safety Equipment, Inc. - Welcome to the DiVal Dispatch - Your Source For Safety News & Updates! One person a day is electrocuted at work, and though this is a surprising fact to many people, it is also very true. Every employer has a duty to protect their employees in the work environment, and they want to know what can be done to make that happen. This is no easy feat, but if a company follows the seven electrical safety habits below they can greatly reduce the potential for electrocutions (fatalities) at work. 1 – Always Verify Absence of Voltage and Use Insulating Gloves and Tools. This habit is listed first because it is crucial. No one should even consider touching any circuit part or conductor unless they have verified that it has no voltage on it. Apply a voltage tester to a known live circuit and verify that the tester reads voltage. Then test the circuit to be worked on. To make certain the tester is still functioning, again apply the tester to the original known live circuit and verify it is still functioning. 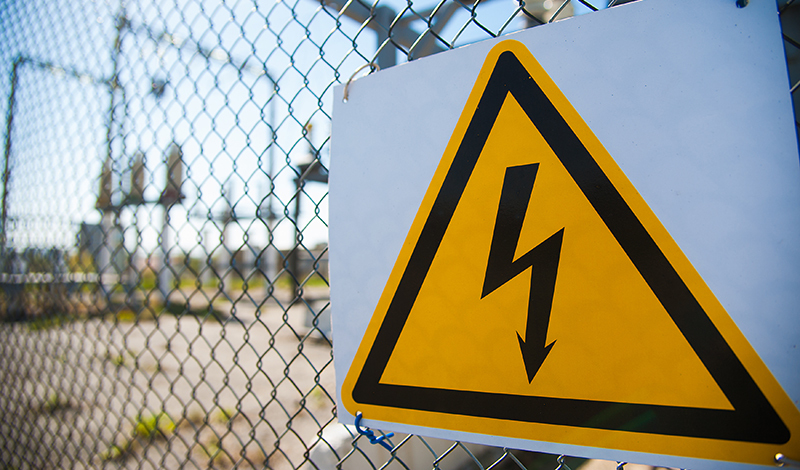 2 – Establish Boundaries for Worker Safety from Shock and Arc Flash Hazards. Use the NFPA 70, the National Electrical Code (NEC). This standard addresses the design, installation, and inspection of electrical equipment and systems. The second standard is NFPA 70E, the Standard for Electrical Safety in the Workplace. For example, to find the working space required around electrical equipment, employers can check the NEC. To find the shock and arc flash protection boundaries, check the 70E standard. 3 – Always Wear Arc-rated Daily Wear and a Face Shield. To verify flame resistant clothing that is arc-rated, check for a calorie per cubic centimeter squared (cal/cm2) rating. If it doesn't have any or at least one of these statements on the clothing tag, it may not be arc rated. All arc-rated clothing is flame resistant but not all flame resistant clothing is arc rated. 4 – Always Use a GFCI with Cord- and Plug-connected Tools and Extension Cords. This habit is expressly stated in OSHA standards and became law in 2008 for all maintenance and construction work (Part 1910.304(b)(3)(ii)). 5 – When Feasible, Create an Electrically Safe Work Condition. 6 – Identify Higher Hazard Levels and Adopt Proper PPE or Engineering Controls to Mitigate Those Hazards. The most common "greater hazard" is arc flash. NFPA 70E requires that a shock and arc flash hazard analysis be performed. Typically, the employer brings in a firm that performs the analysis, gathering data and using computer software to analyze the hazards. 7 – Measure, Audit, and Continuously Improve Electrical Safety Processes. Implementing electrical safety habits will not be successful unless someone follows up and makes certain proper and safe activities happen. NFPA 70E requires annual auditing of electrical safety practices in the workplace by management or someone delegated by management. Remember following these seven electrical safety habits will go a long way in making any workplace safer. This is very important in ensuring that everyone goes home to their families each day, which is what it's all about!